Following is a checklist of procedures you must complete in order to make your experience at Indiana State as successful as possible. If you have questions, contact the office listed or e-mail the Center for Global Engagement at isu-ips@mail.indstate.edu. 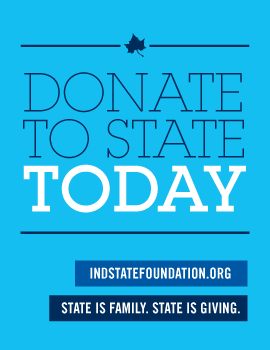 As a newly admitted student, you will receive e-mail from faculty, staff, and students to help you enroll at Indiana State. You need to activate your University Username on the MyISU portal. Click on “Activate Your University username.” You will need your University ID number (found on your letter of admission), your date of birth, and the e-mail address you used when you applied. Visit Residential Life. Other information about housing can be found at Center for Global Engagement. As a new student, you are required to complete and return health and immunization documents prior to attending New Student Orientation. For further information contact the Office of Registration and Records at 812-237-2020. All new international students are required by Indiana State Law to undertake Quantiferon-Tb test in the United States. After your arrival, schedule an appointment with the UAP Clinic—ISU Health Center by calling 812-237-3883. In order to protect international students from the high costs of medical care in the United States, Indiana State recommends that all international students with F-1 or F-2 visas and their dependents be covered by a health insurance policy at all times during their stay in the U.S. It is mandatory that students with J-1 visas and their dependents be covered by a health insurance policy at all times during their stay in the U.S. Students may purchase either the health insurance recommended by the UAP Clinic—ISU Health Center or other health insurance plans that are valid in the U.S. Reminder: Financial support sufficient to cover your educational expenses for one year must be demonstrated before the I-20 eligibility document is issued.